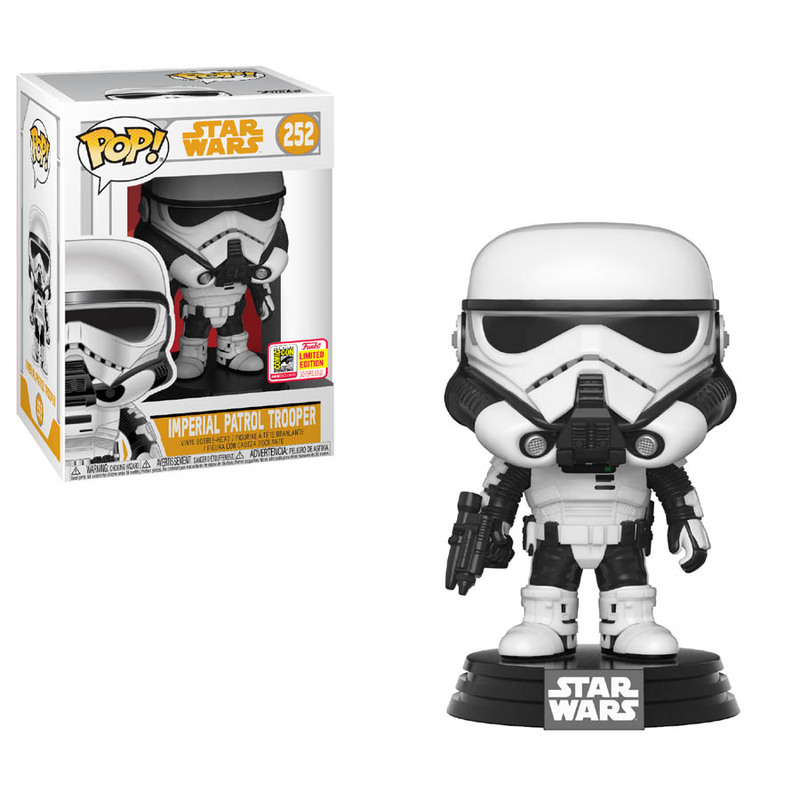 Take a closer look at all the unique finds and convention exclusives before formulating your own shopping plan of attack. 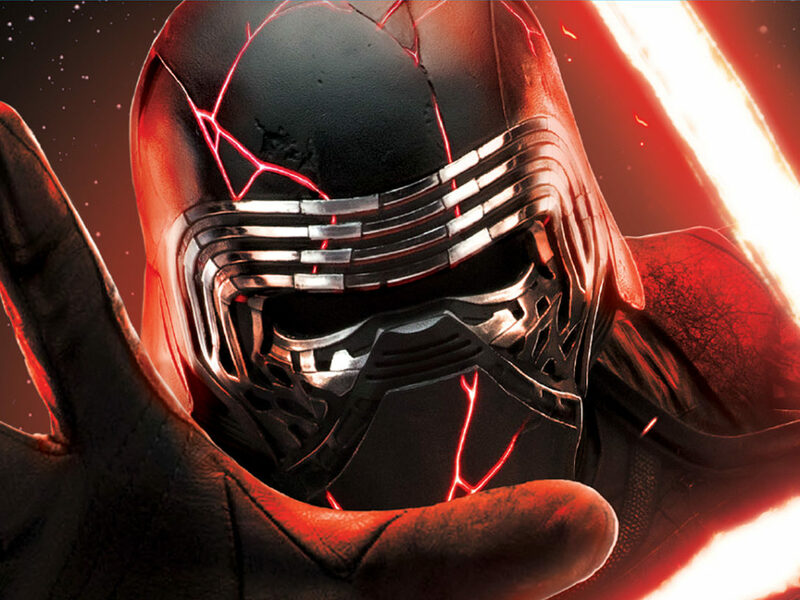 We love the panels, the surprises, and the new friendships fostered by line alliances, but if you’re heading to San Diego Comic-Con this week, chances are you’re also looking forward to grabbing up some convention exclusives. 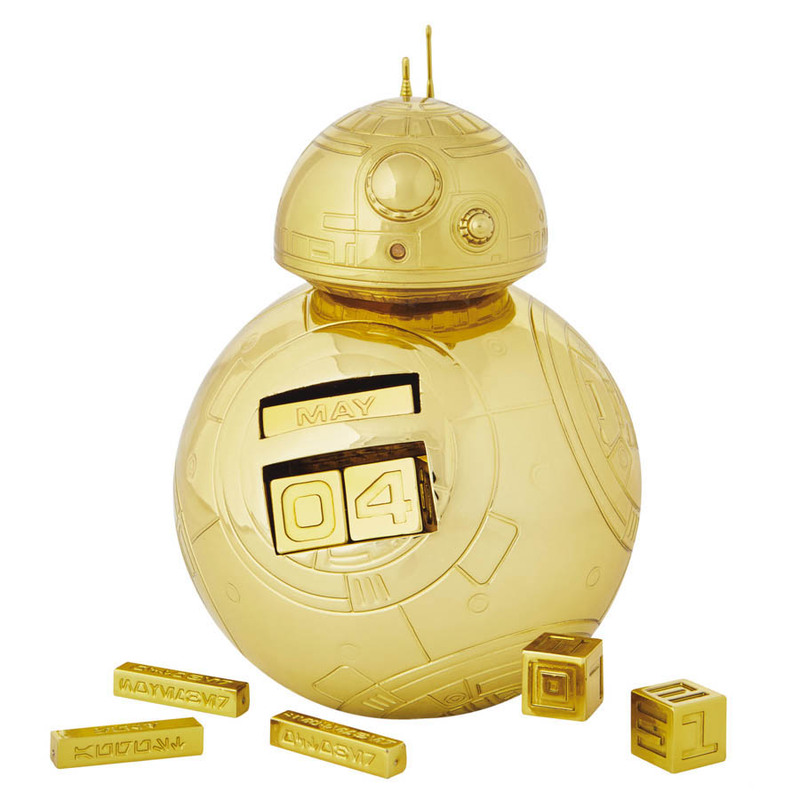 We’ve gathered some of our favorite galactic selections to help you prepare a wish list, packed with porgs, pins and posters galore. 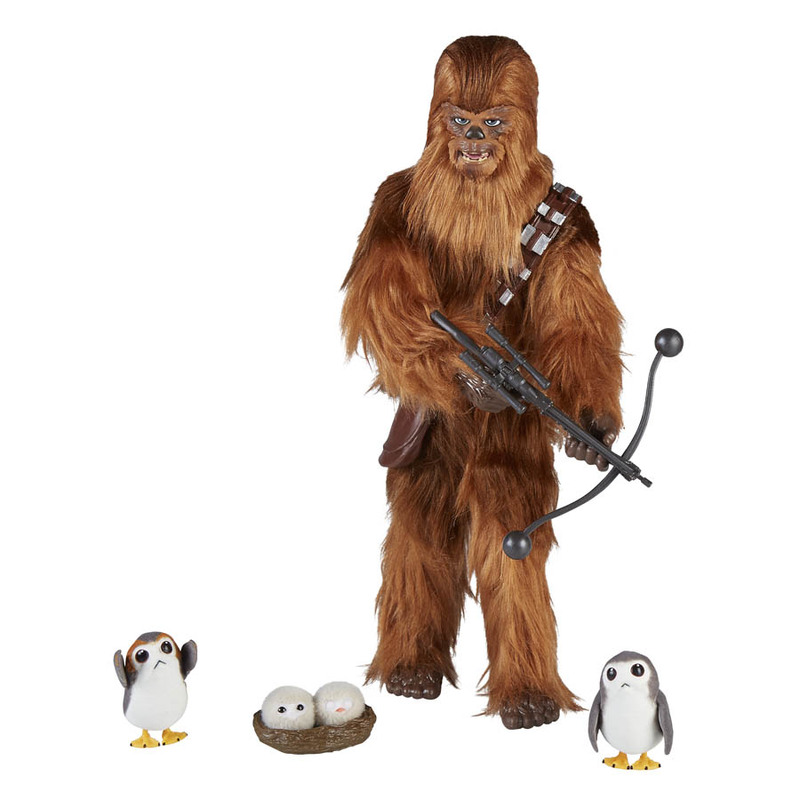 Chewbacca’s roar isn’t so fearsome when he’s helping two soft, flocked porgs and their nest of porglets. 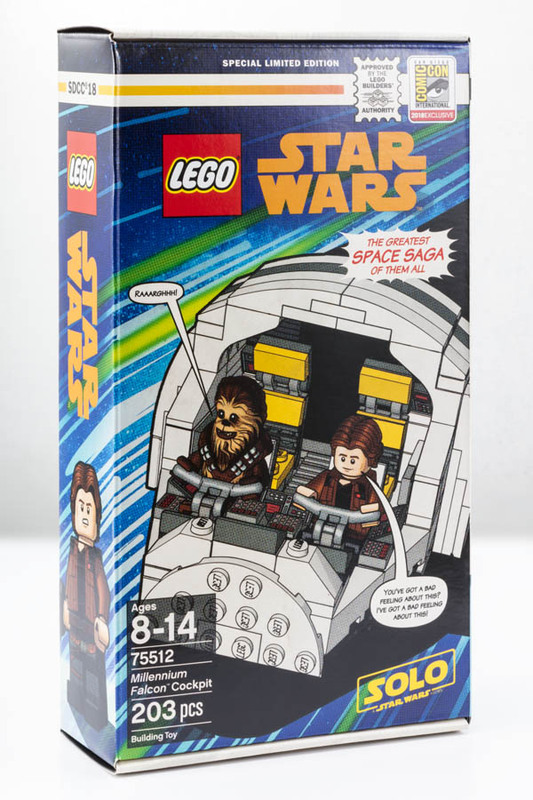 The fuzzy set is housed in a package that carefully recreates the cockpit of the Millennium Falcon, for display and play. 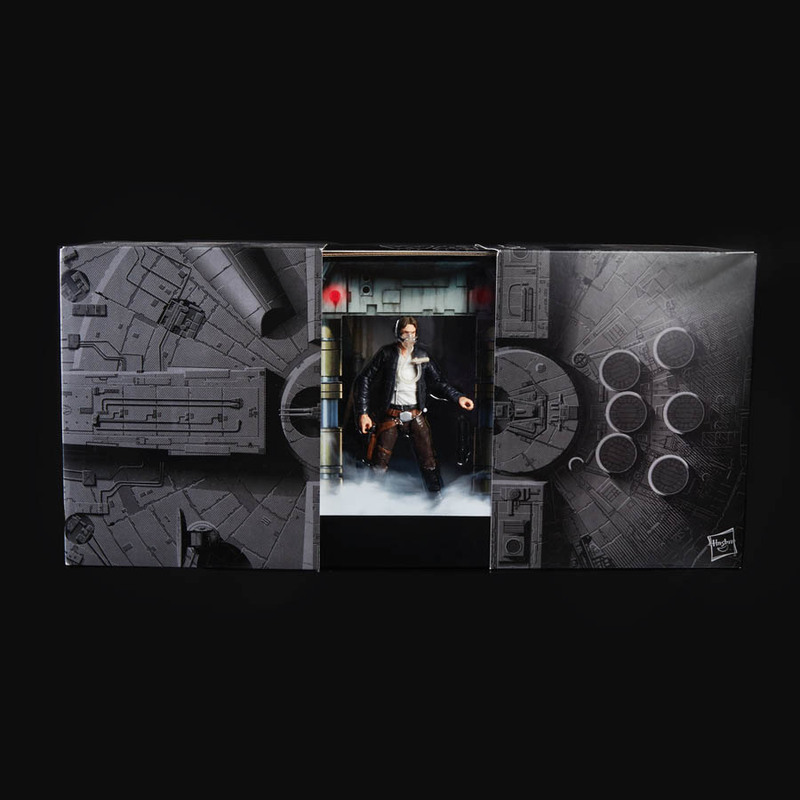 Buckle up and prepare to make the jump to hyperspace with Han Solo and Chewbacca in this special limited edition set from Solo: A Star Wars Story. 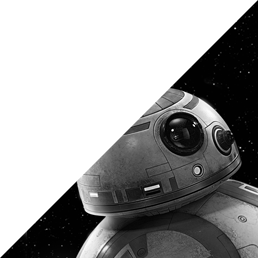 A porg! 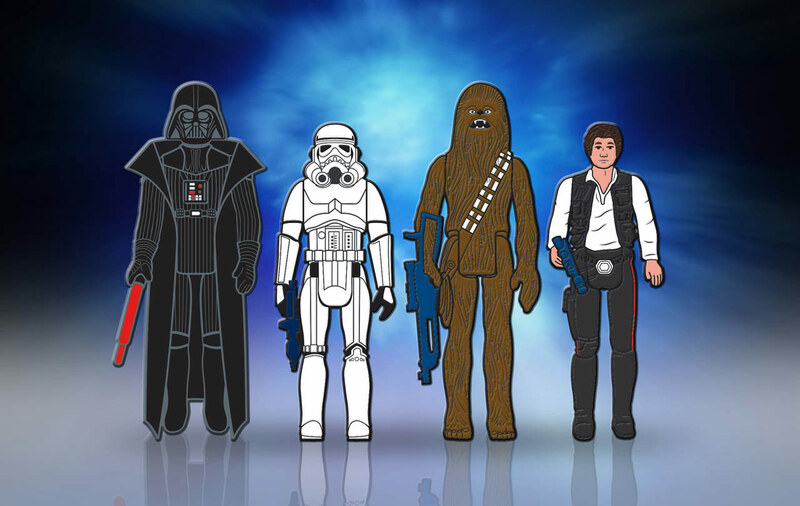 In a teeny, tiny Millennium Falcon! What’s not to love? 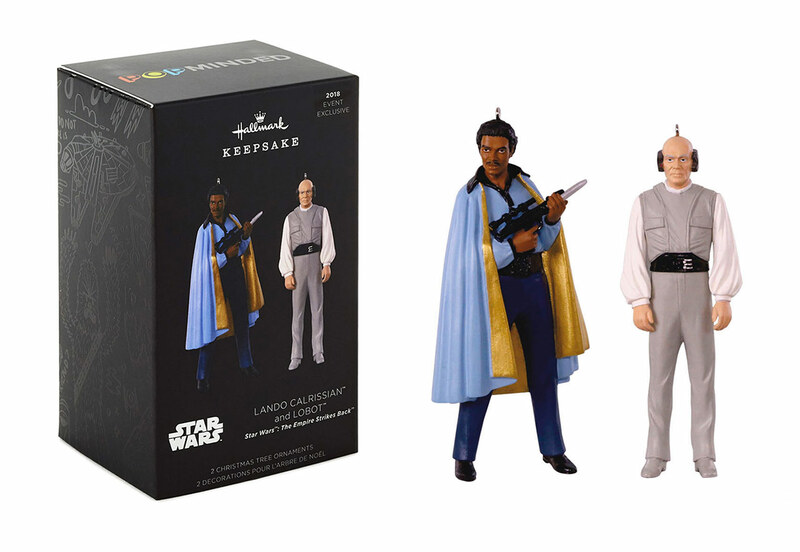 The respectable business man running Cloud City and his faithful, cybernetically enhanced aide join your crew of Keepsake Ornaments with original sculpts based on their first appearance in The Empire Strikes Back. 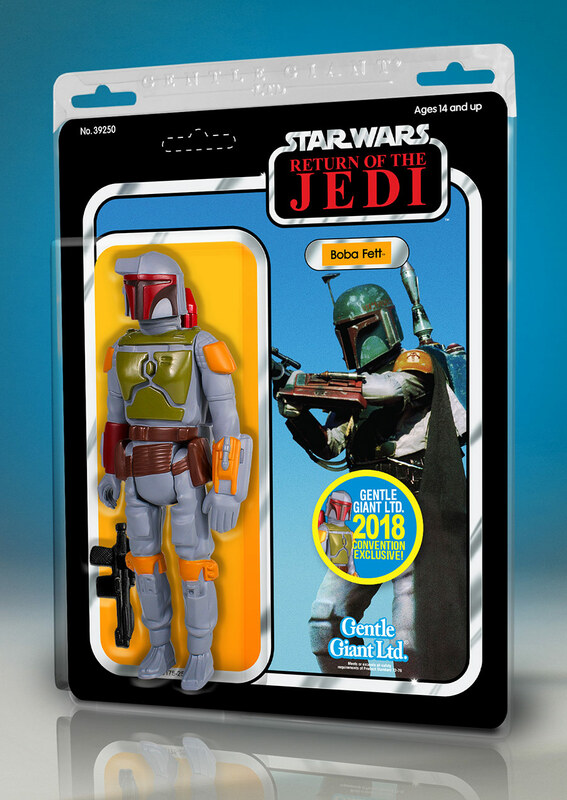 Other convention exclusives include a Boba Fett itty bittys plush in blister-card packaging ($18), a golden BB-8 perpetual calendar complete with an additional set of date cubes in Aurebesh ($40), and PXL8-style collectible enamel pins featuring 8-bit renditions of Leia in Boushh disguise and Han Solo in Carbonite from Return of the Jedi ($15). Light. Darkness. 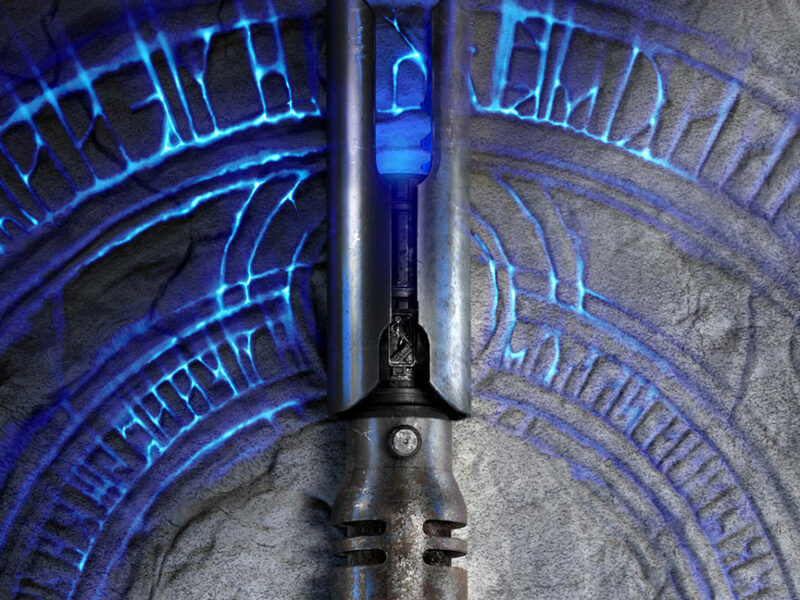 A balance. 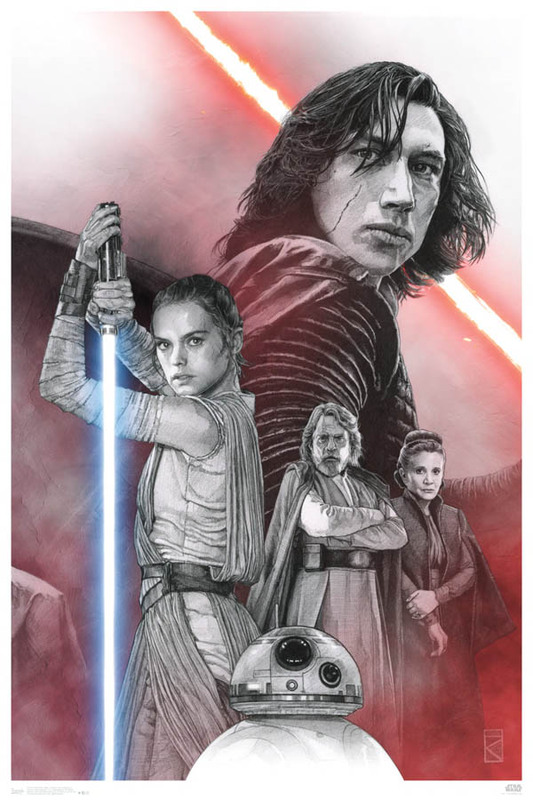 Artist Russell Walks will be available at specific times Thursday, Friday and Saturday to sign his own poster trilogy depicting the prequels, sequels, and original films. 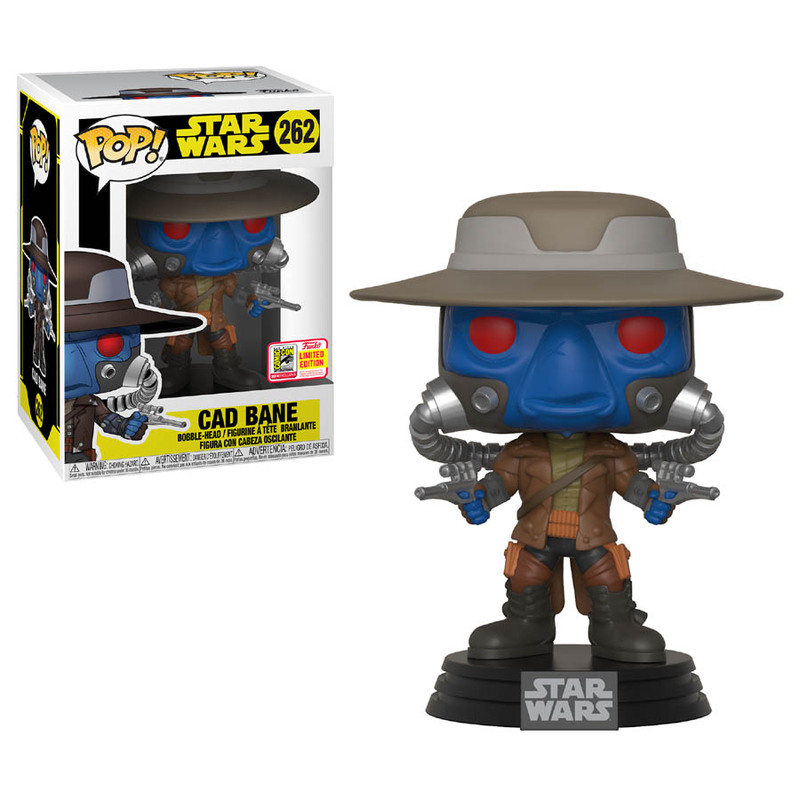 The ruthless bounty hunter and blaster-for-hire Cad Bane joins a legion of bobbleheads from the Star Wars galaxy, along with a stormtrooper on patrol. 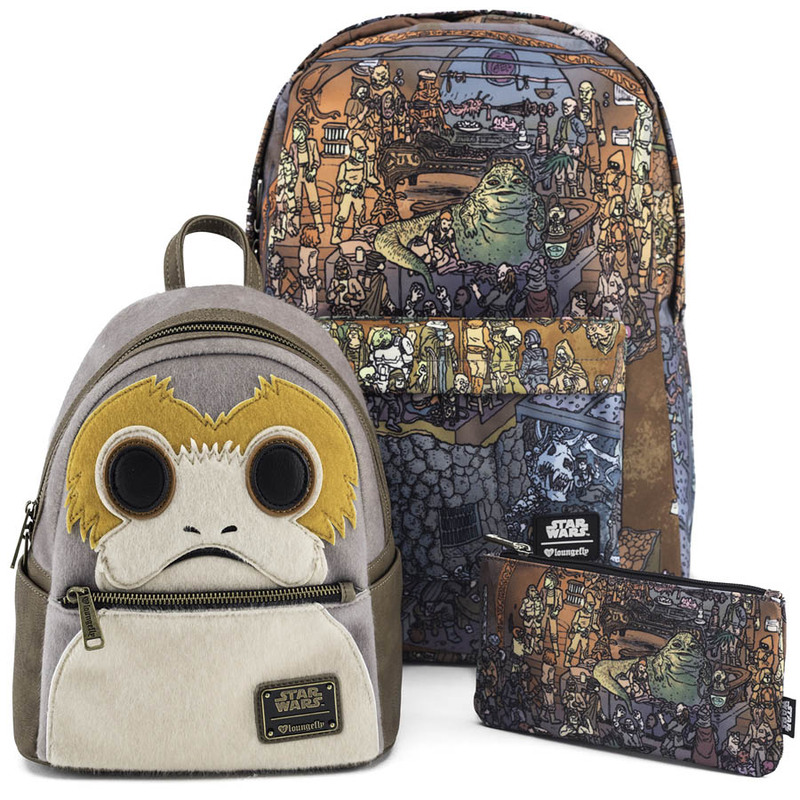 Take flight with a backpack that’s as cute as the Ahch-To natives that inspired the design, from the wide-eyed exterior to a playful porg print hidden inside. 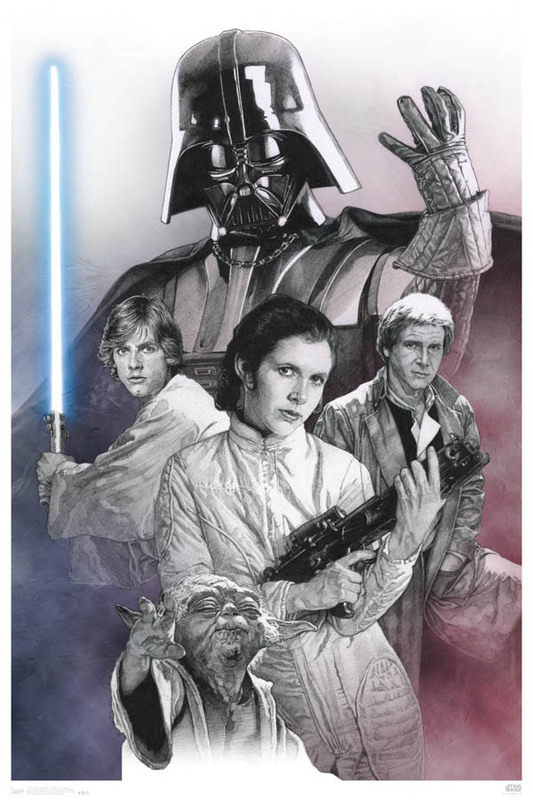 Other convention exclusives include a festive print of Jabba’s Palace ($40) on a backpack that comes with a matching nylon pencil case ($8). 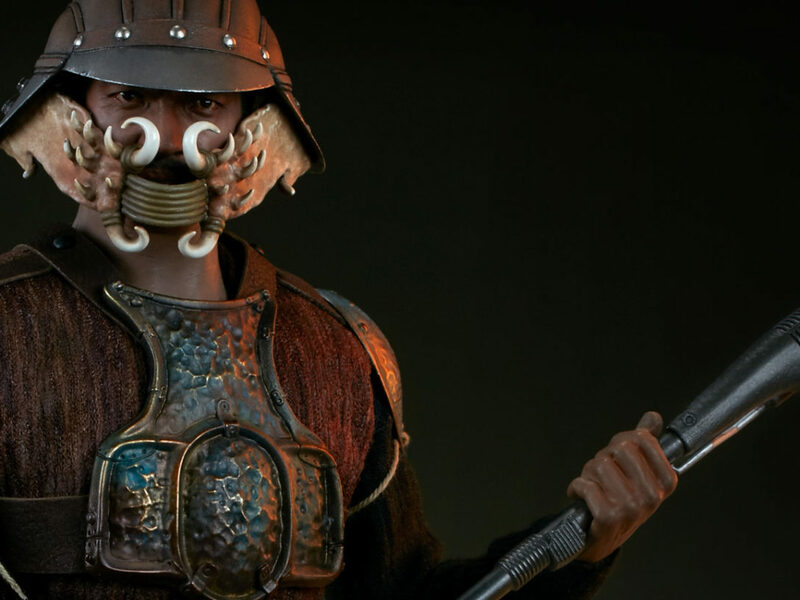 To celebrate the 35th anniversary of the notorious bounty hunter’s appearance in Return of the Jedi, the fan-favorite gets the 12” jumbo treatment, up-sizing the classic vintage figure design in the finest detail. 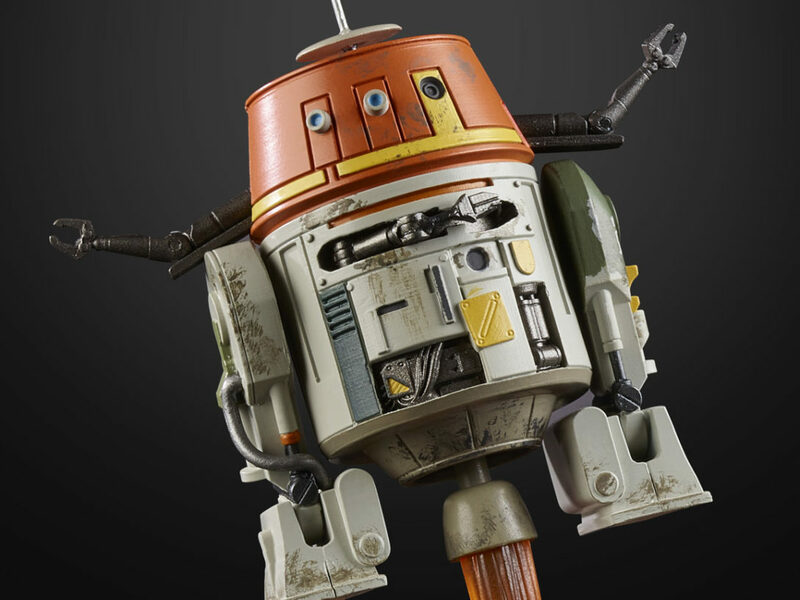 Utilizing a digital scan for the most faithful reproduction, this figure is just like the one we remember from the toy box, right down to his non-removable rocket, 5 points of articulation and black blaster rifle. 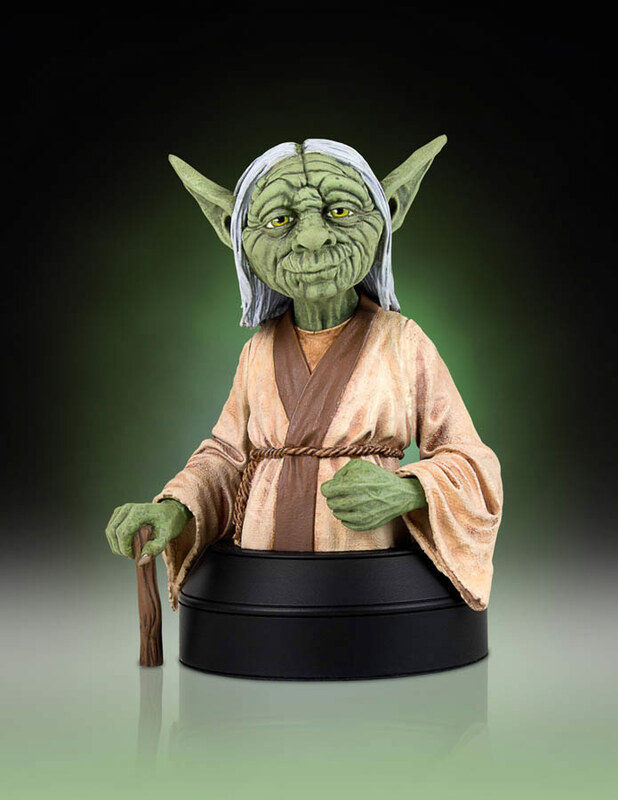 Other convention exclusives include two new mini busts depicting Jedi Luke Skywalker with a green, switch activated light-up lightsaber ($120) and a Concept Yoda ($100) inspired by the original artwork that helps designers develop the iconic look of the beloved Jedi Master. 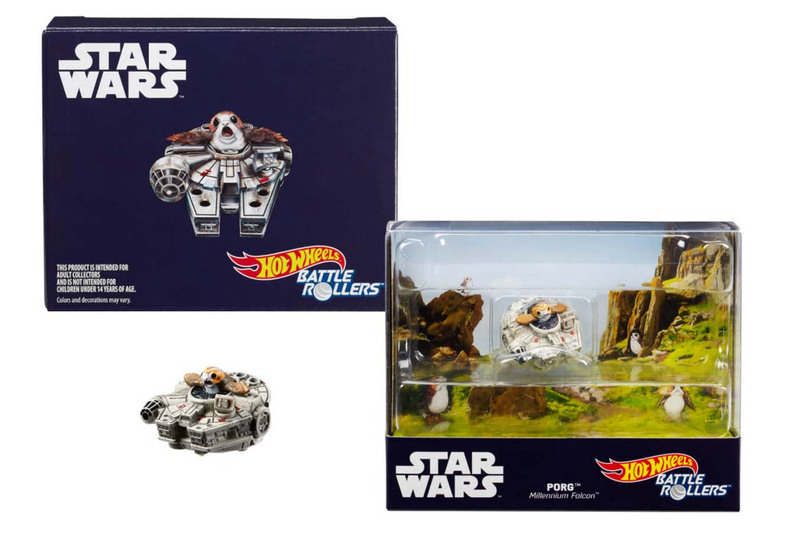 The toymaker will also debut a new line of enamel pins including 2” pins depicting a dianoga, porg, and AT-AT ($6), and a set straight from Ahch-To showcasing the thala-siren and a delicious bottle of fresh green milk ($12). 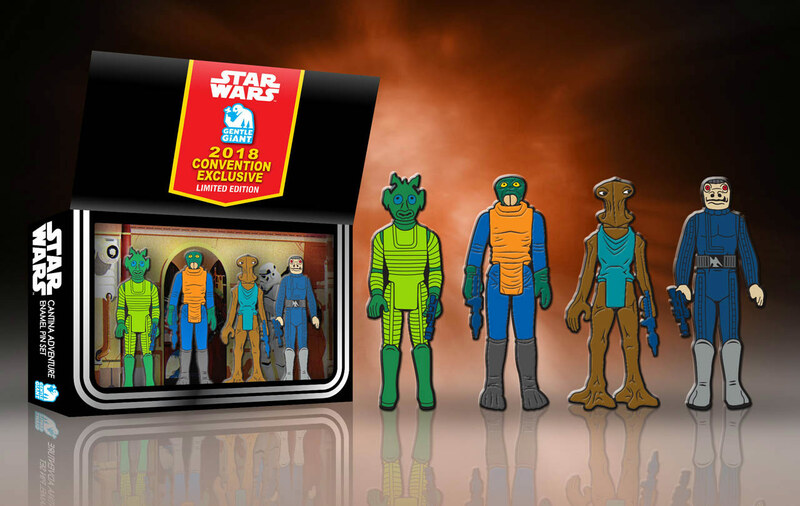 There are also two lines inspired by the vintage Kenner action figures: the Cantina Adventure Boxed Set packed together in a retro-inspired box ($24) and a larger, 3.75” blind box variety styled after the original wave of action figures ($20 each). 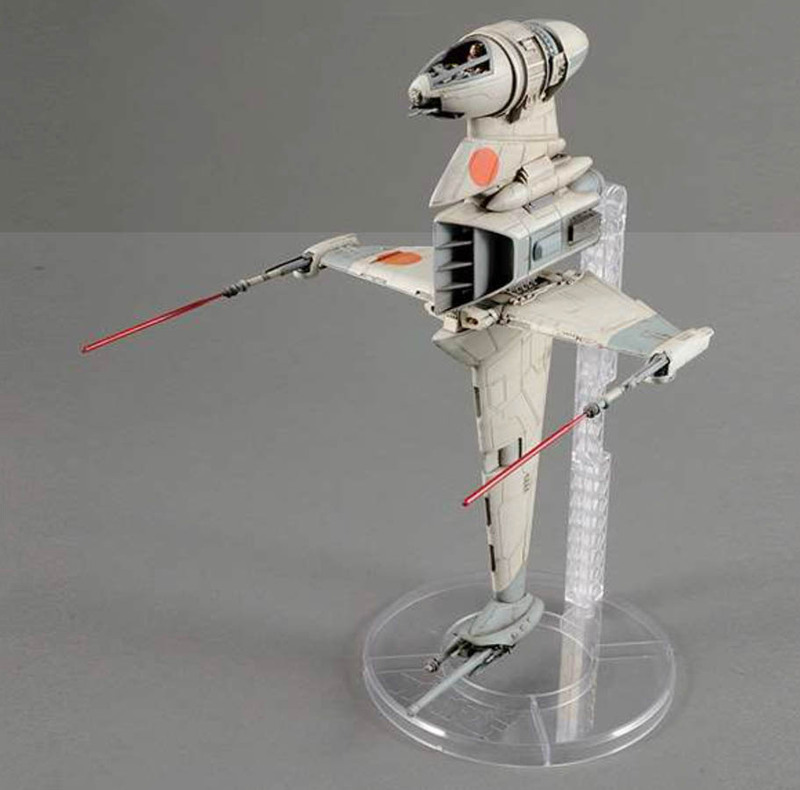 No Rebel Alliance fleet is complete without a B-Wing starfighter, a diminutive yet highly detailed part of the model ship line. 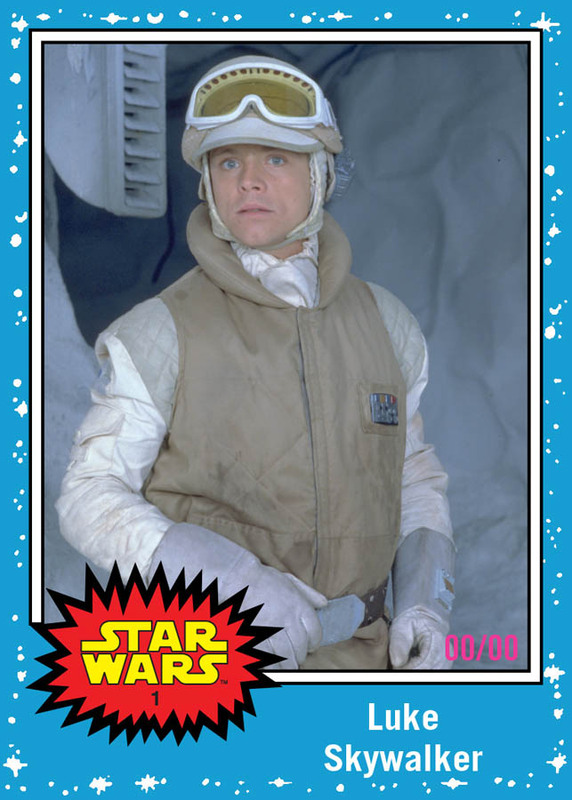 This limited edition set of 199 brings back the classic 1977 blue star field Topps Star Wars trading card design and pairs it with new photos never-before-seen in this format. 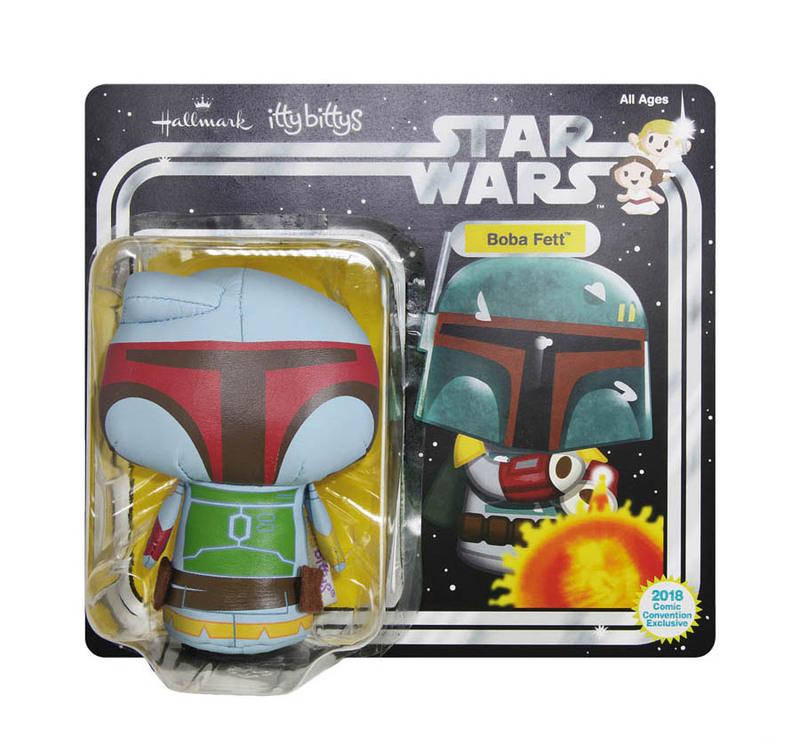 Collect all 5: Luke Skywalker, Han Solo and Chewbacca, Princess Leia, Darth Vader, and Boba Fett. 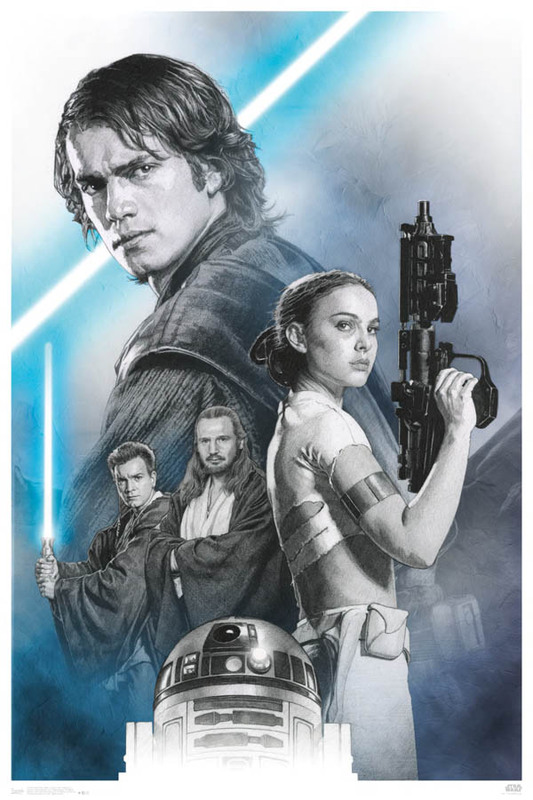 Other convention exclusives include the Topps Digital App giveaways of one “Outlaw Oath” exclusive insert per day featuring Lando from Solo: A Star Wars Story. 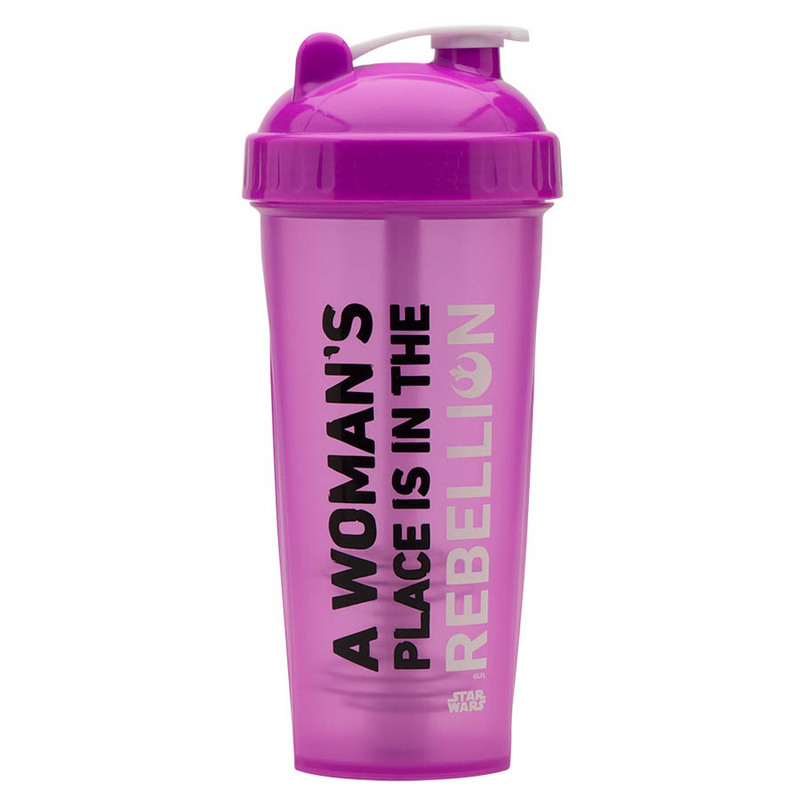 A woman’s place is in the Rebellion. 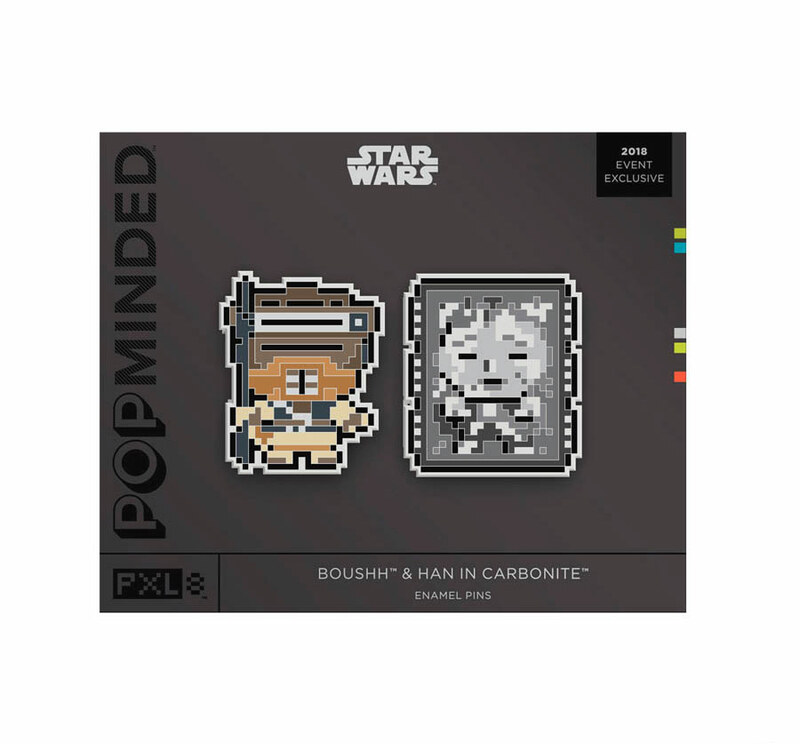 Show your love for Lando’s pristine and notoriously fast ship with this exclusive pin. 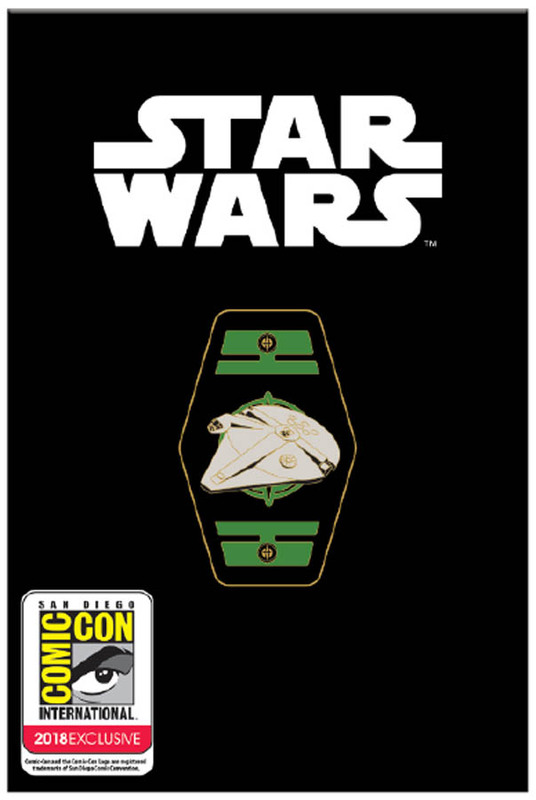 Other convention exclusives include a complete set of movie logo pins ($25), and droid inspired jewelry sets ($25 each). 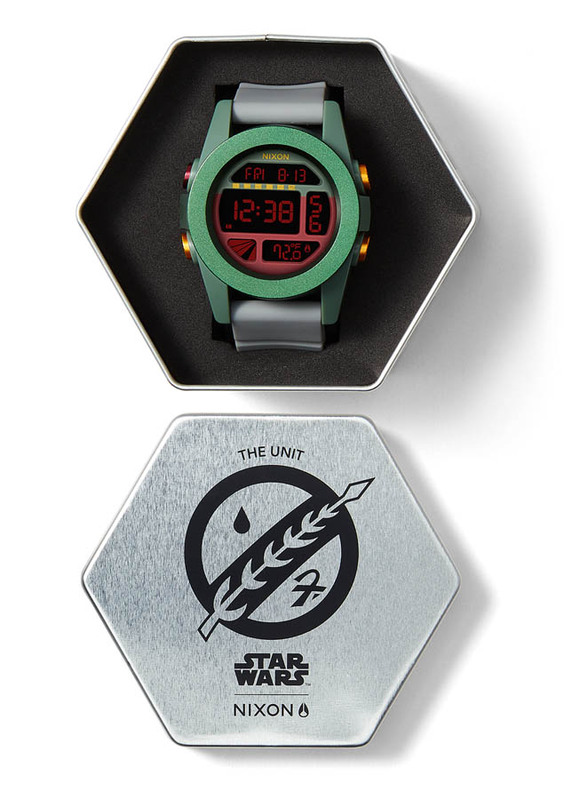 Keep track of your schedule and your next bounty with a watch reminiscent of Boba Fett’s personalized armor. 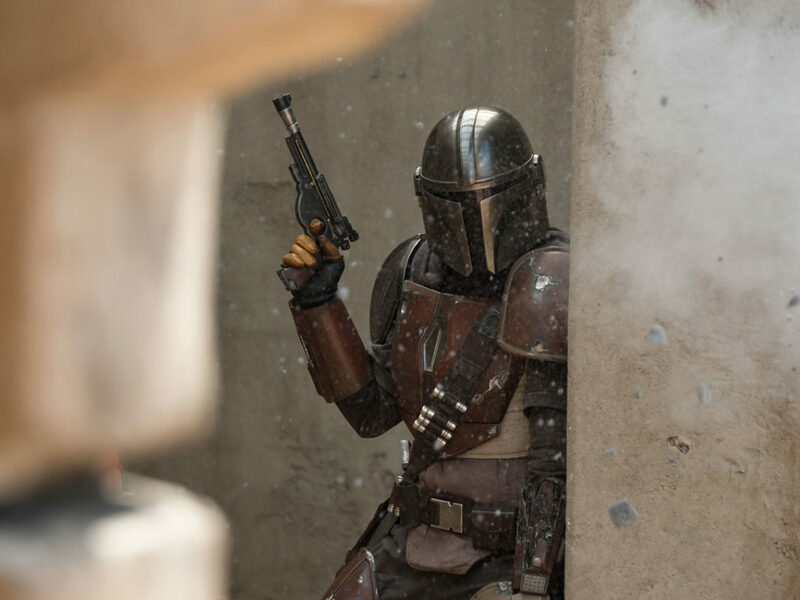 Just remember: no disintegrations. 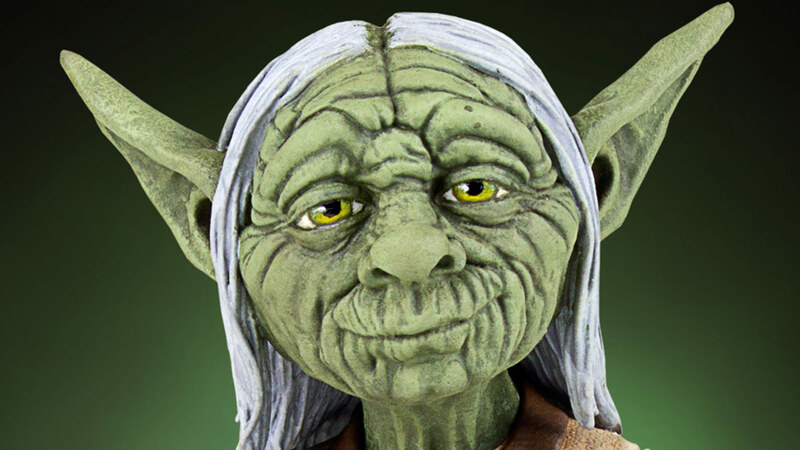 All your ride needs is a pair of lucky dice hanging from the rearview mirror and this bumper sticker. 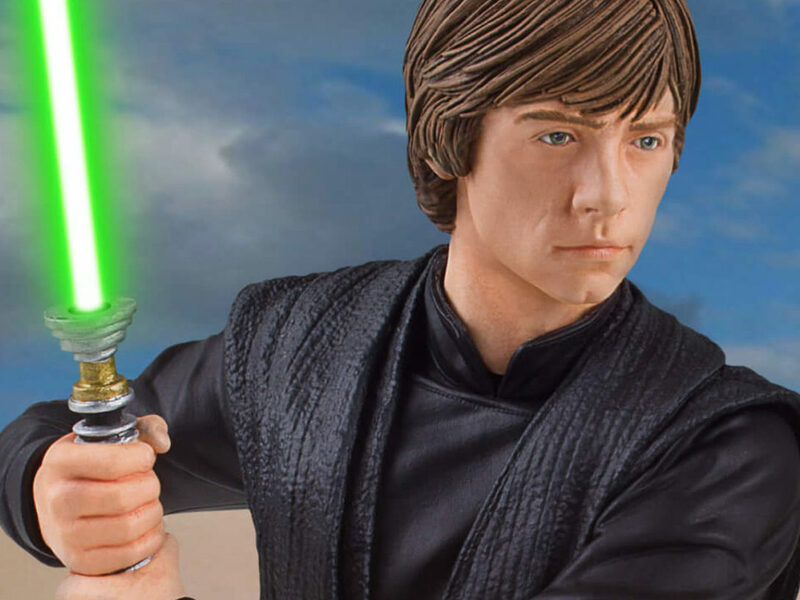 Pick up this exclusive figure to reenact the epic battle on Mustafar. 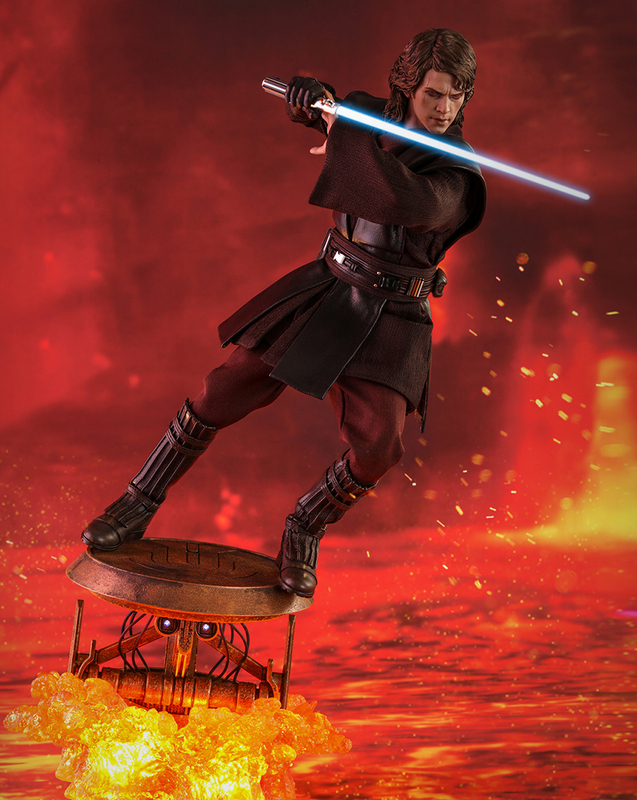 Just make sure you have the high ground. 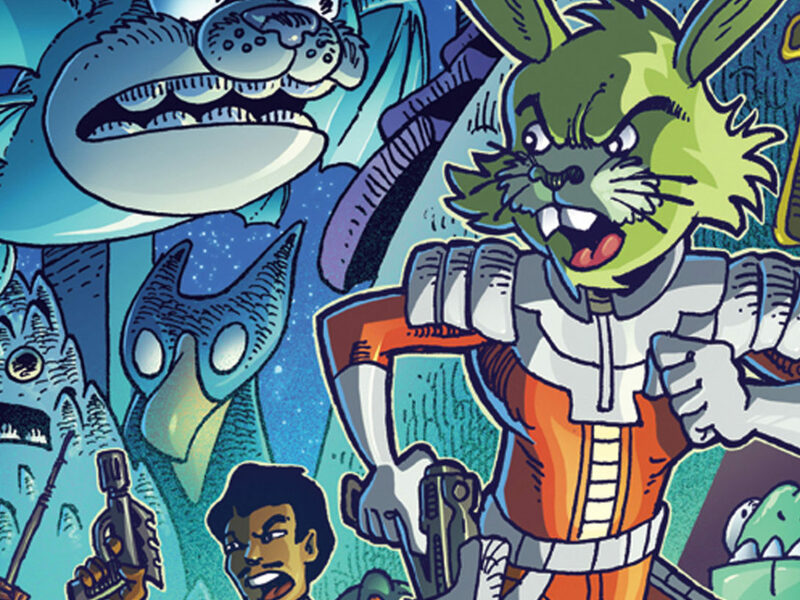 There will be plenty of other convention exclusives, like yet-to-be-revealed Stance sock designs (Booth #2913-N), giveaways, and promos. 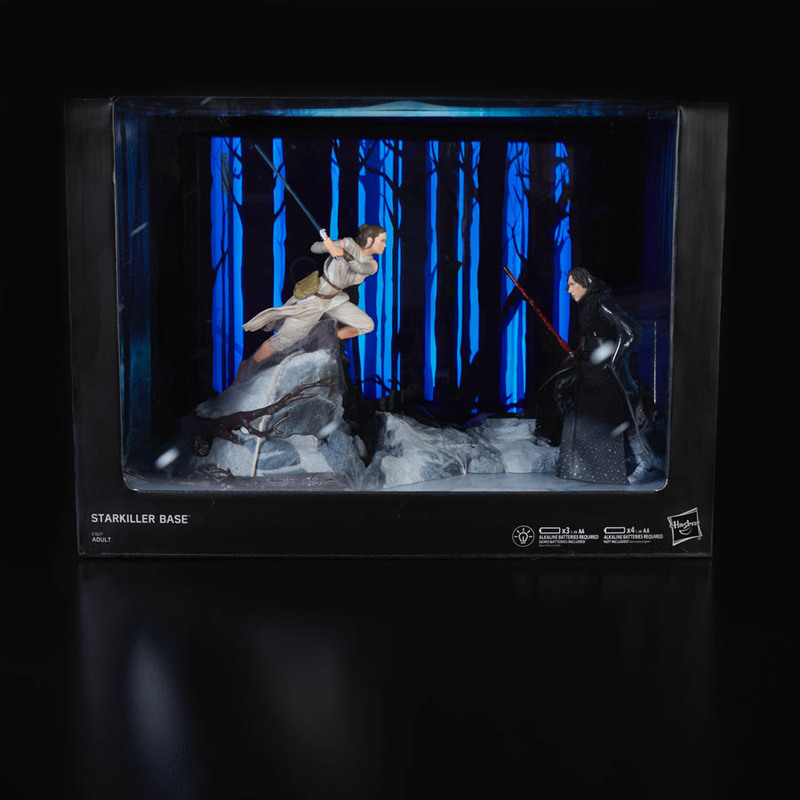 And attendees can be among the first to spot new pieces like a special Clone Wars collection from Her Universe and Our Universe (Booth #2913-T), the Heroes & Villains apparel and accessories line from BioWorld (Booth #2913-C), and other new and beloved items from Fifth Sun (Booth #2913-Y), Seven20 (Booth #2913-L), TeeTurtle (Booth #2913-G), Robe Factory (Booth #2913-B), Wilson (Booth #2913-E), Fantasy Flight Games (Booth #2913-H), DPW (Booth #2913-I), Del Rey (Booth #2913-J), efx (Booth #2913-M), UB Tech (Booth #2913-P), HJC (Booth #2913-Q), Stern Pinball (Booth #2913-V), Otterbox (Booth #2913-W), and Terez (Booth #2913-Z). 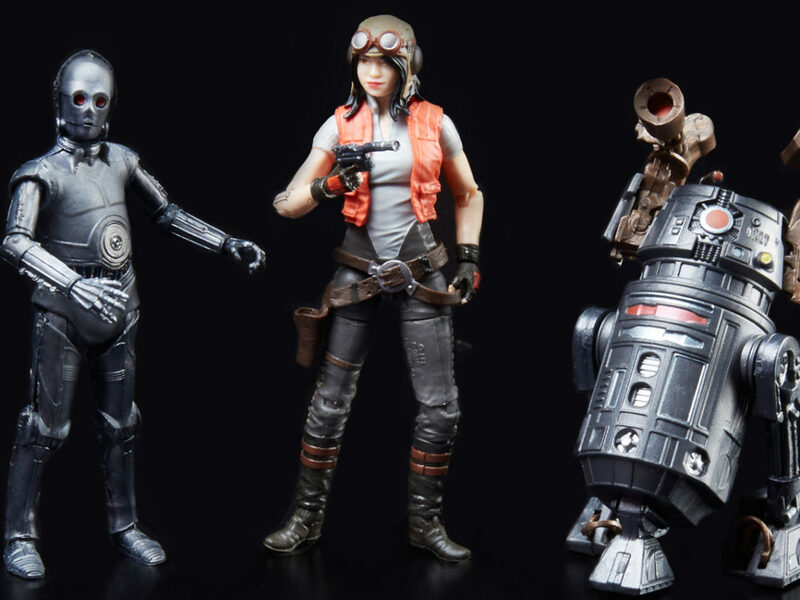 Check out our handy guide HERE for a complete list of SDCC Star Wars exclusives and first-to-market items!